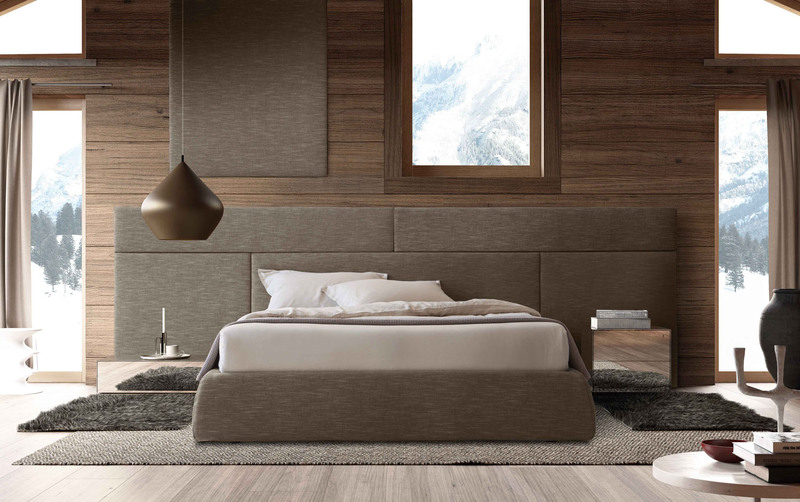 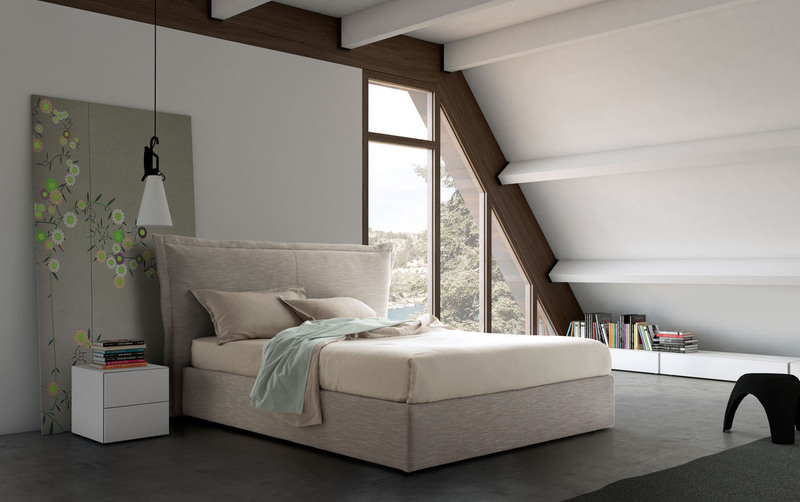 Padded cubes in leather or fabric characterise the headboard of the Cubic bed, giving it a modern look. 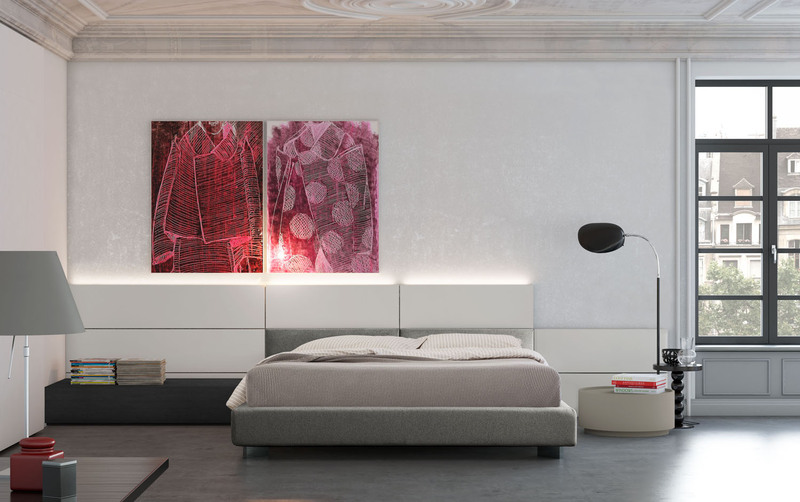 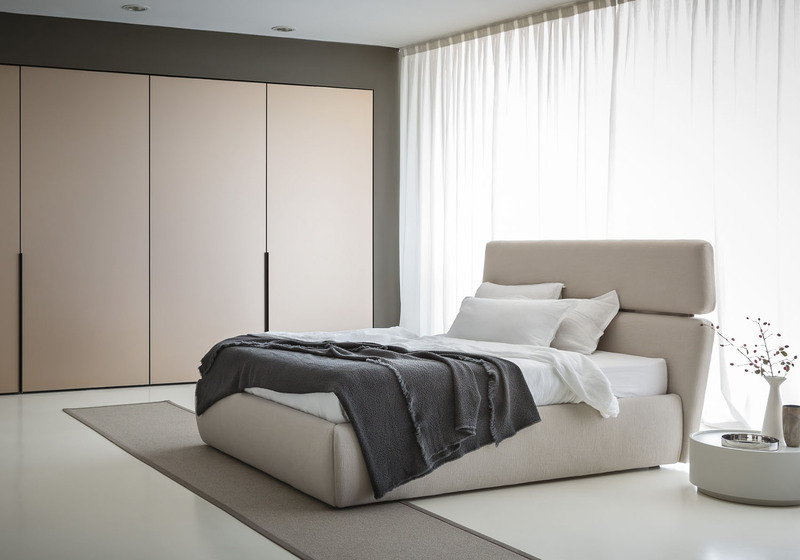 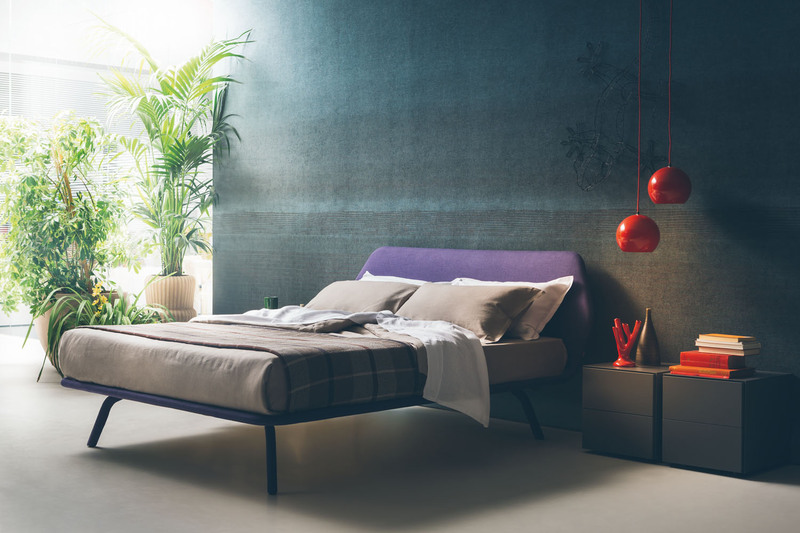 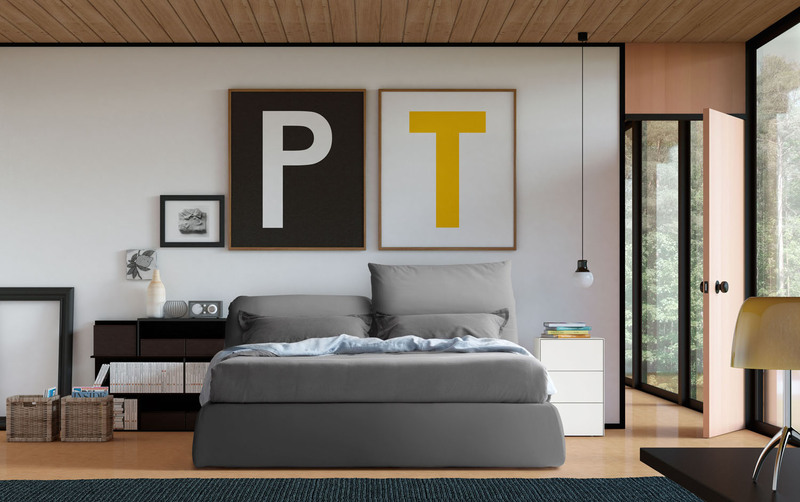 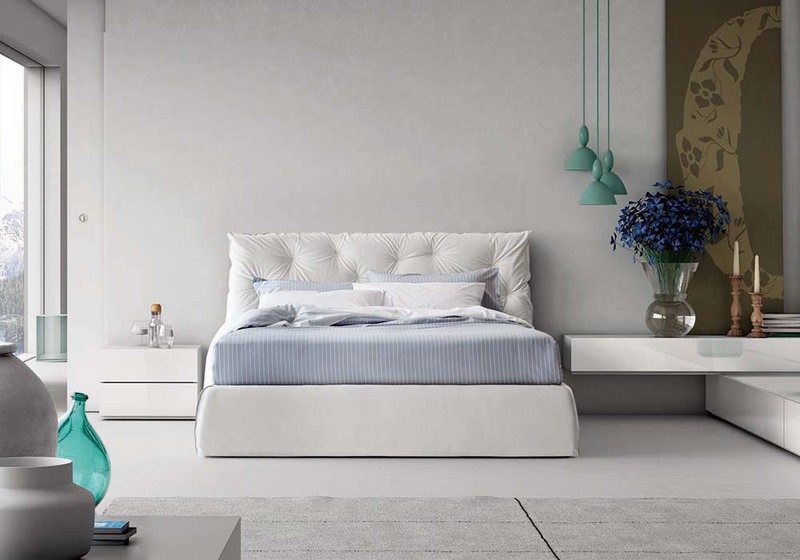 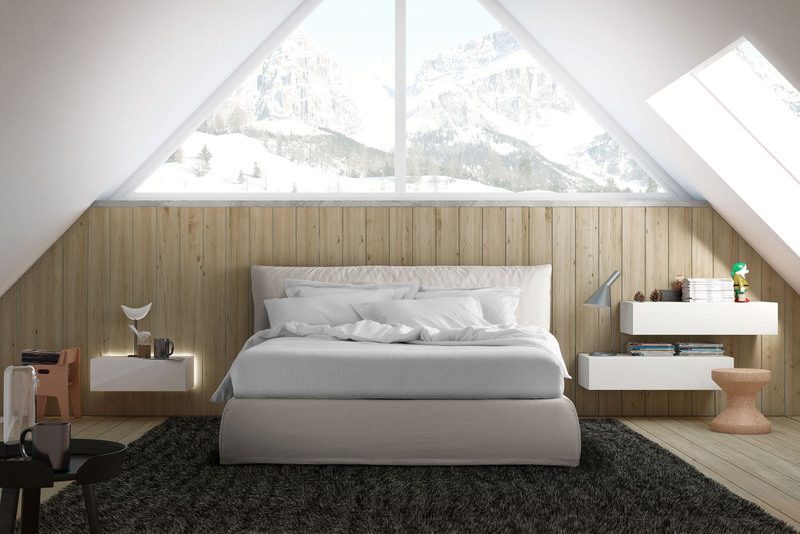 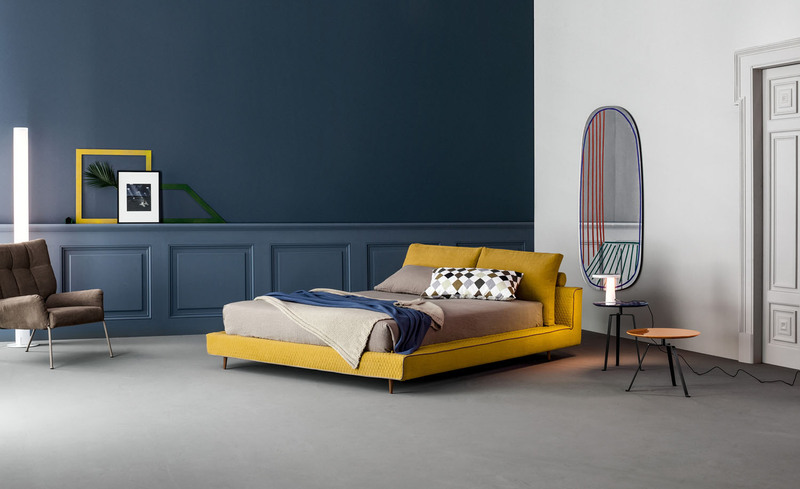 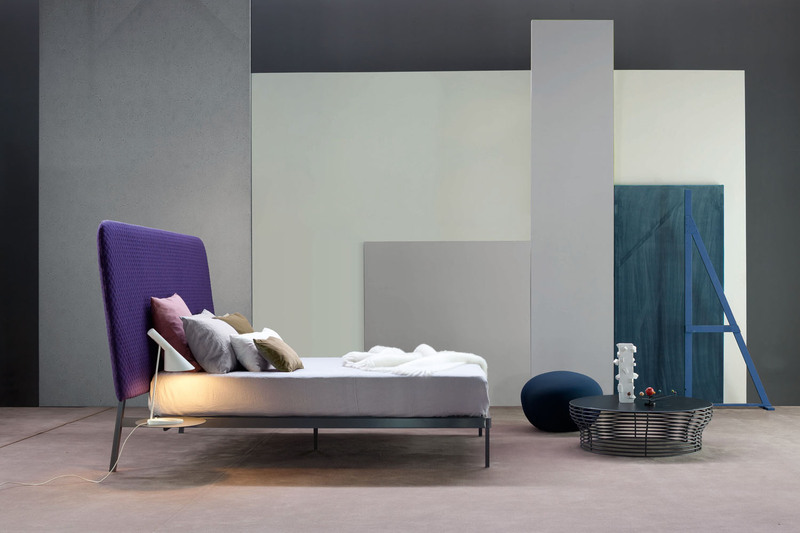 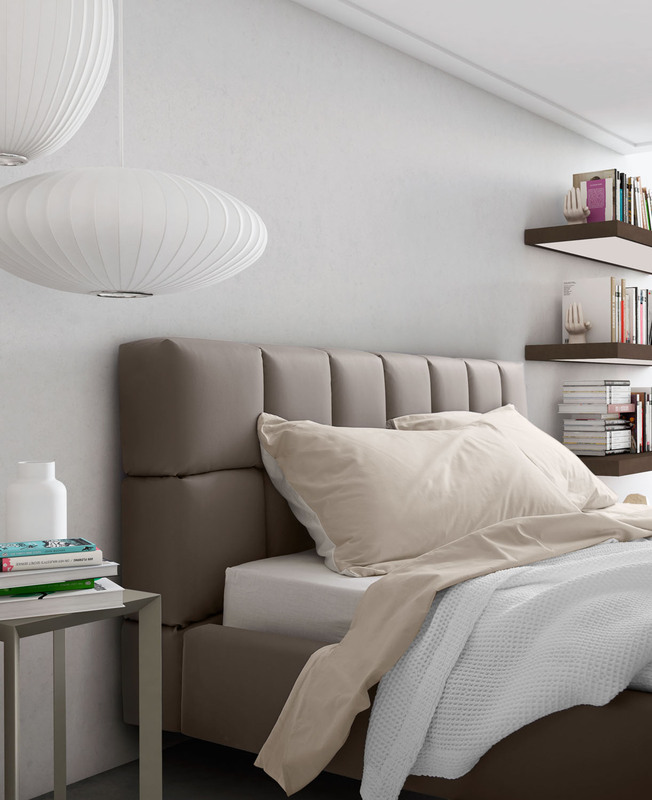 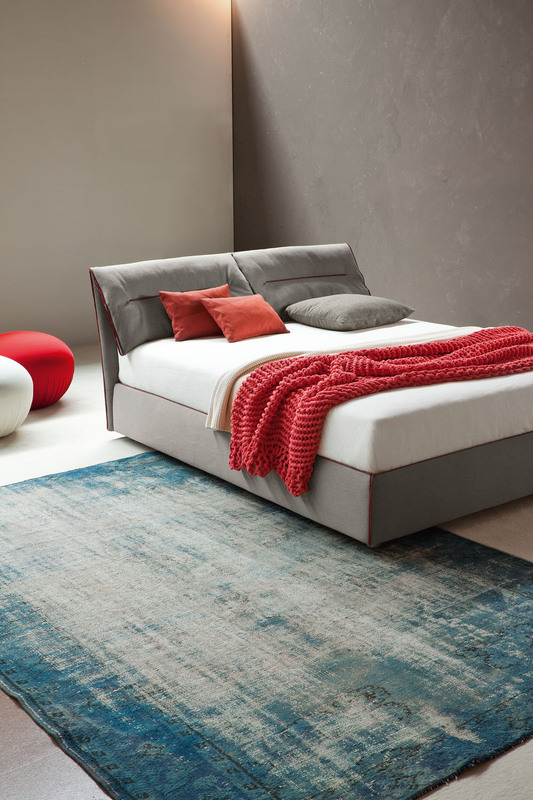 The Cubic bed is characterized by a headboard made by a different superposed padded cubes, wich leave a space between one and the other, suitable to insert books an other objects. 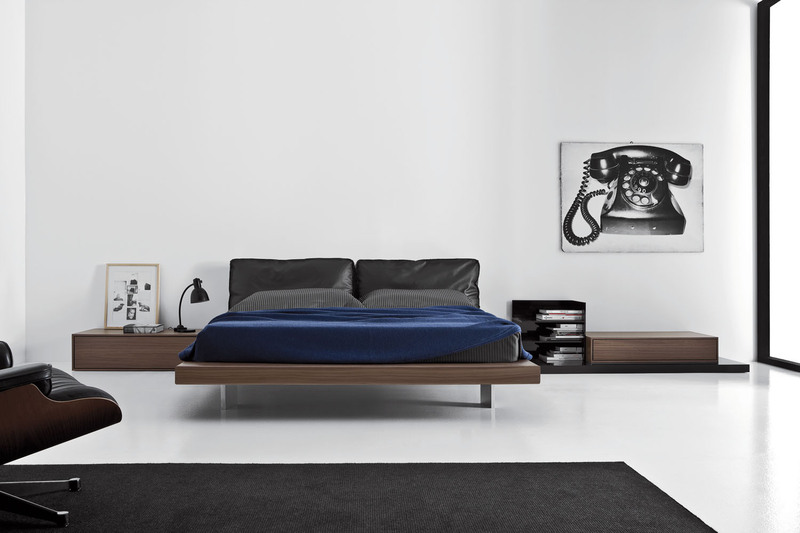 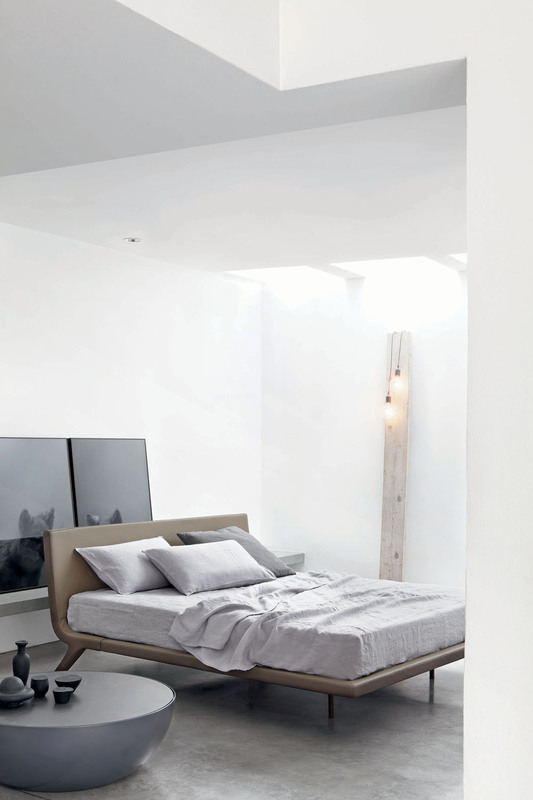 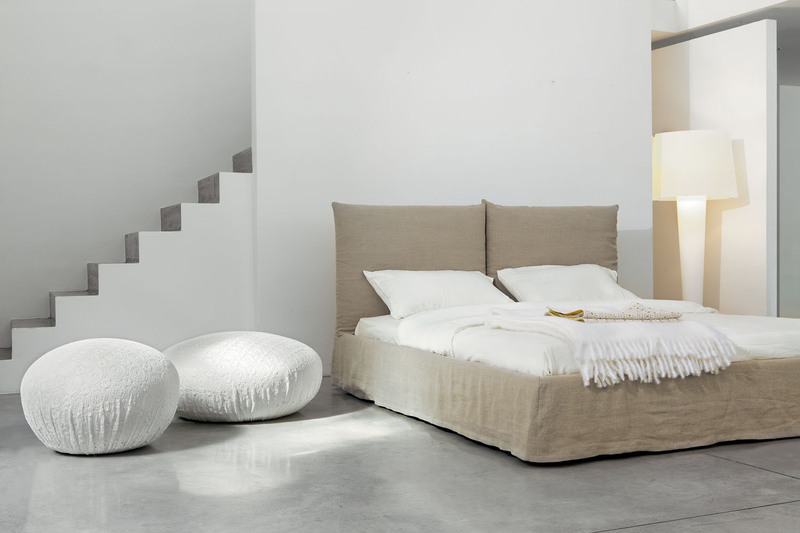 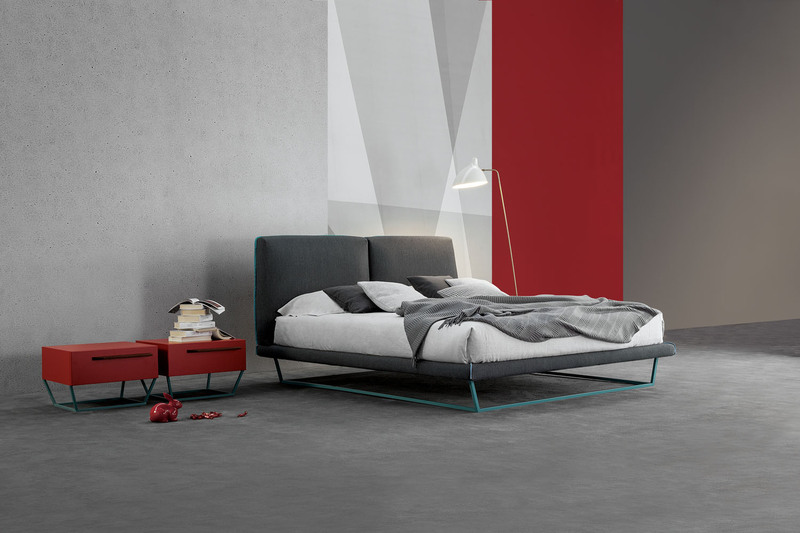 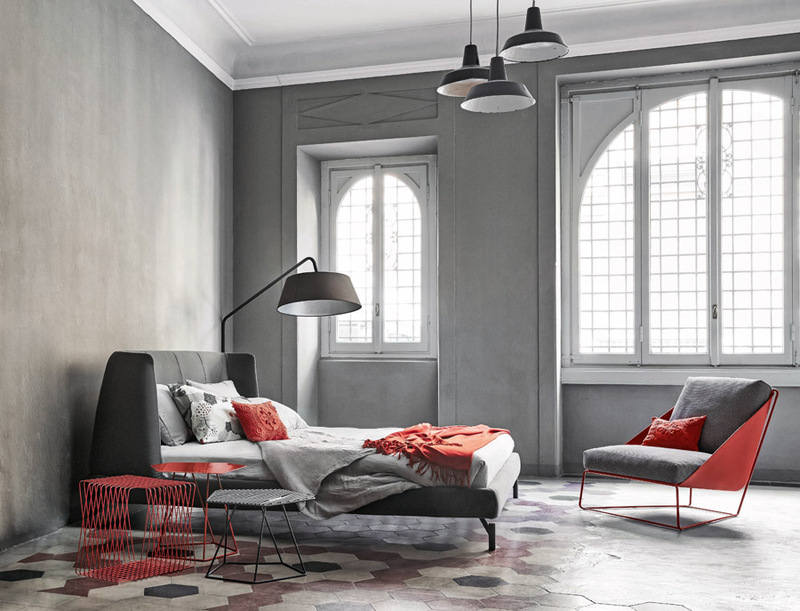 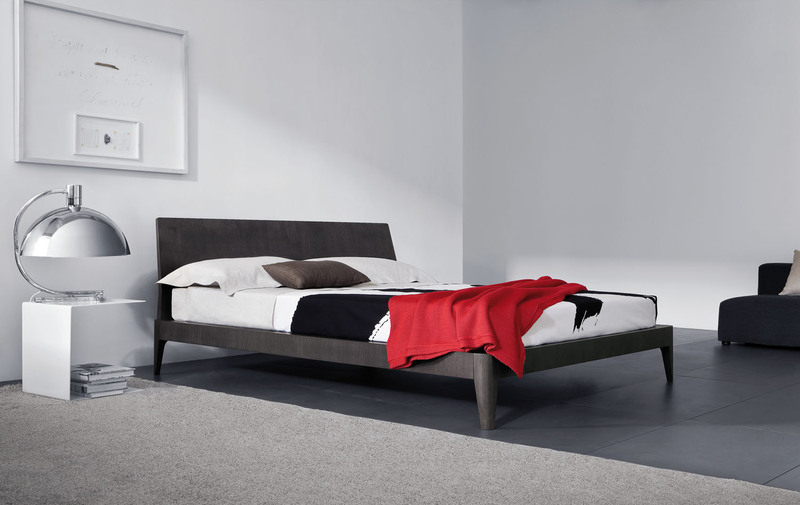 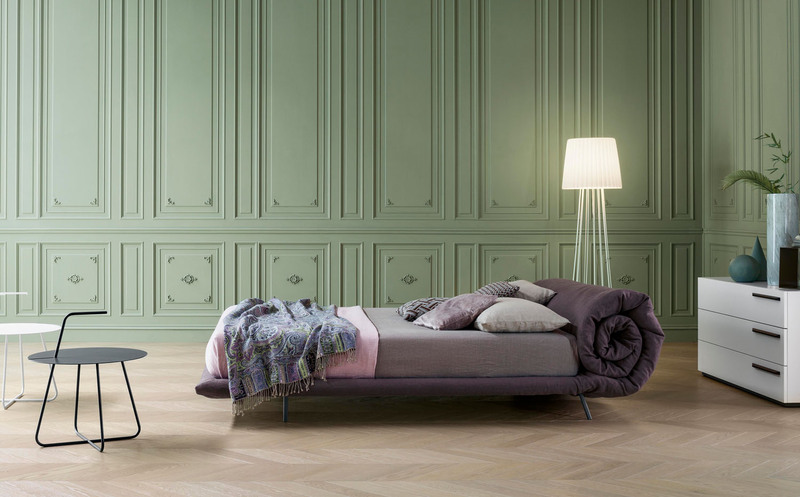 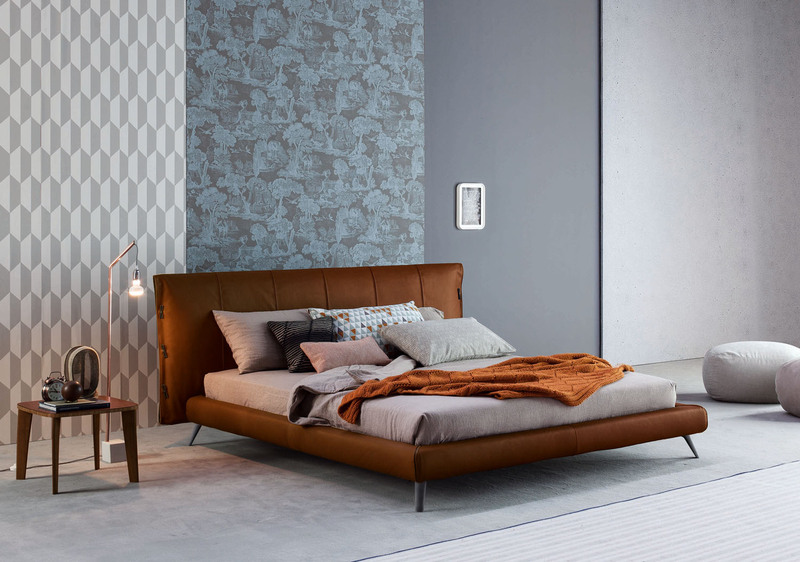 A modern looking bed, it is available in leather or fabric cover.